If you're one of those people who hates the iPad line, you're definitely in the minority. 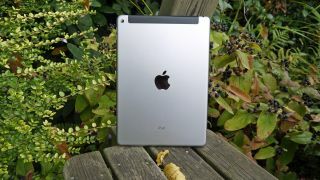 Throughout the first half of 2015, Apple widened its margin as the number-one selling tablet manufacturer in the world. Apple holds a 31.4% market share of global tablet shipments, an increase of 5 percentage points compared to last year, according to a report by TrendForce. Samsung holds steady as the second-best tablet manufacturer, with 22.2% of all tablets shipped during the first six months of 2015, an increase of four percentage points. However, as you've probably read, Apple is reportedly set to ship its new iPad Pro starting in September, which will likely expand the gulf between the two tech giants. This despite Samsung's recent launch of the Galaxy Tab S2, which we recommend despite questionable battery life and limited storage options. No tablet manufacturer is happy about the overall state of the tablet market. The report reveals a 14.9% decrease of overall tablet shipments, due mostly to market saturation and global economic woes. Lenovo holds the third largest market share with 5.9% of tablets shipped. However, the company's mobile division took a major hit last quarter and has ceded control of device manufacturing to its Motorola Mobility unit, so the jury is out on whether it can pick up steam heading into the second half of the yar. The report isn't all raindrops. Microsoft holds a 2% market share, but with the manufacturer reportedly unveiling the Surface Pro 4 in October, TrendForce predicts it will see a 52% boost in overall sales compared with last year. What is the best tablet in the world?